Some suggest that the secret to happiness is, in fact, gratitude. 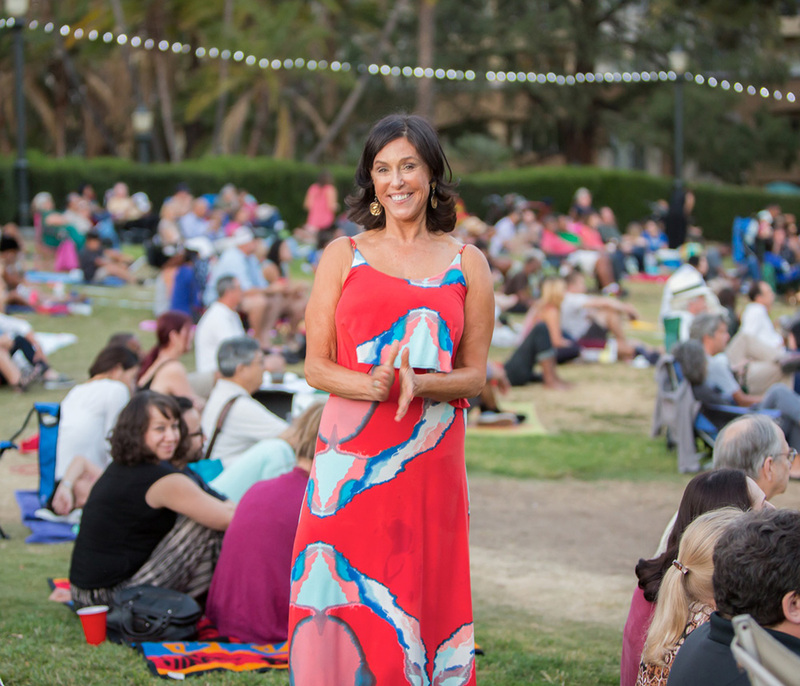 Perhaps this is why Liz Levitt Hirsch, Levitt Pavilions’ vibrant and visionary founder and board chair, always seems to have a smile on her face and a kind word to offer those around her. Earlier today I had the pleasure of chatting with Liz, who shared a few words of gratitude about two people near and dear to her heart, two people who have given so much to so many: Mortimer and Mimi Levitt. Anyone who has met Mimi Levitt, Liz’s mother, can attest to her gracious spirit, and her habit of showing kindness and respect to all people—character traits that continue to shape the core values of Levitt Pavilions to this day. Liz, who embodies this same kindness and respect for others, is thankful to have such an inspiring and generous role model. Mimi has always gracefully “kept the trains running,” caring for a family at home while helping to build New York City’s Museum Mile into the cultural destination that it is today, among other accomplishments. Liz explained how Mimi has served as “the wind beneath the wings of many, many people.” Mimi has always faced life with elegance and practicality, navigating each new phase with an extraordinary amount of dignity. Liz deeply appreciates having a mother who constantly demonstrates how to lead a life of courage and dignity. Above all else, Liz is immensely thankful to have her mother here to share all of life’s joys (including the exciting growth of the Levitt program across America). When asked to share some thoughts about her father, Mortimer Levitt (1907-2005), Liz spoke with fondness and appreciation for his “brilliance and extraordinary success in the business world.” For those of you who read last month’s In Their Own Words post, you might recall that in addition to being a generous patron and outspoken advocate for the arts, the dapper and dynamic Mortimer Levitt was also a leading clothier and creator of a men’s fashion empire of made-to-measure shirts. Liz continues to be thankful for his fine taste in clothing and his advice to “value understated elegance,” “steer away from fashion” and “wear the clothes (instead of letting the clothes wear you).” His dedication to shaping his own unique path in this world taught Liz to always ask questions, engage in conversation and recognize the value of independent thinking. Mortimer’s ambitious vision for an America filled with Levitt venues, offering free music under the stars to all, has shown Liz the value of having the courage to dream big. Liz’s parents’ trust in her abilities, coupled with their generosity of resources, has given her the freedom to be the best version of herself, as well as a driving force behind the growth of Levitt Pavilions nationwide on behalf of her family—for this, she is immensely grateful. It’s amazing to think how far Levitt Pavilions has come with Liz at the helm, and how the support of many others has helped make our growth possible. Each year, your support—from cheering on Levitt artists, to making a donation, to reading this blog—has helped Levitt Pavilions surpass our goals and make an even deeper impact. And for this, we are grateful. Wishing you and yours a happy season of gratitude. This entry was posted in In Their Own Words on November 18, 2014 by Nicole McGaffey.